This tall, airy plant provides lovely foliage and late summer blooms. It is especially perfect for wildflower gardens, meadows and naturalized areas. Thalictrum rochebruneanum, commonly known as meadow rue features lacy, fine-textured foliage. 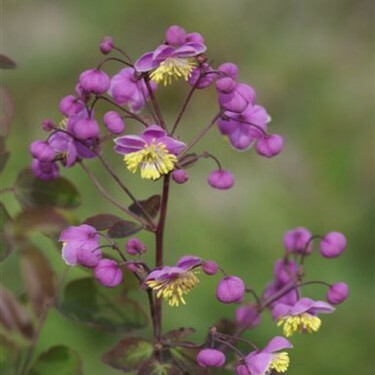 In late summer tiny, pendulous, lavender-purple flowers with contrasting yellow stamens will appear and continue to bloom until late summer. When massed, the overall effect of the bloom can be simply spectacular!